Everything you need for maximum productivity and comfort year after year is comprised in the Bush Hog 60" Ride-On Lawn Mower. These mowers combine heavy duty construction and superior performance features with creature comforts designed to enhance the operator’s mowing experience. 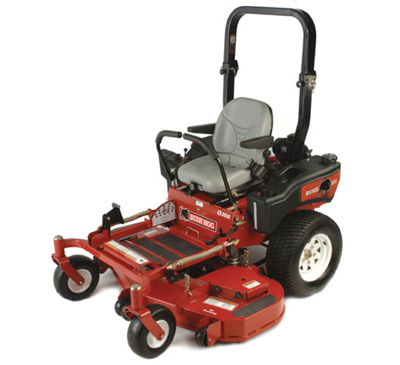 In a lawn professional’s world, this is the bosses’ personal machine. This zero turn mower give you plenty to smile about. For one, Bush Hog is renowned for its durability and reliability. Bush Hog mowers are also perfect for commercial landscapers and homeowners with large lawns and acreage. They’re built to last, easy to maintain, cut beautifully and they’re a total blast to drive.